What is your Favorit episode? Who is cuter,Marvin oder Tweety? Which is your Favorit character? What is your Favorit CGI Road Runner and Wile E. Coyote short? old Sylvester vs new Sylvester! Which drawing style do Du like for him? Am i the only one who gets the feeling John Kassir's voice for Pete the Puma sounds like Lew Zealand's voice? 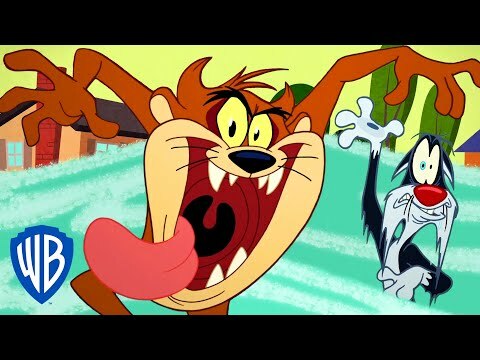 As Du can see, Cartoon Network made a lt changes in the Looney Tunes. but once again, i say, Why aren't Du grateful that looney tunes was brought back to life once again, altough in a dfferent ways, Du guyz should be grateful, otherwise, Du might just keep repeating all the episodes of the classic looney tunes. a poll Wurde hinzugefügt: Who is cuter,Marvin oder Tweety? a pop quiz question Wurde hinzugefügt: Why did Marvin push away K-9?